Stephen King is a writer which needs no introduction. He is often compared with Edgar Allen Poe or Bram Stoker. However, it is quite possible that history will show that he surpassed all of them. He is a living legend, not only to the horror genre, but American Literature as a whole. Critics often complain that his characters and storylines seem to wear a little thin. Some share similarities with one another. With over 50 novels and innumerable short stories written by King, it is hard not to have some repetition. The man has authored just about every type of horror imaginable, not to mention his forays into mystery, science fiction, and fantasy. Stephen King has written about vampires, rabid dogs, ghosts, virulent plagues, blood thirsty mad men, and children with psychic powers. He has helped define subgenres like weird west (The Gunslinger) and creepy kids (Children of the Corn). He has also built upon genres like the post-apocalypse (The Stand) and rampant animals (Cujo). The Mist is an ode to the cosmic horror of H. P. Lovecraft. It takes place in Bridgton, Maine. After a powerful storm, an unnatural mist settles on the town. David Drayton and his son, Billy, become trapped in the local supermarket. Through the haze, bizarre creatures begin to appear. These monstrosities are not of this world. Rumors swirl of a government research facility and a “Project Arrowhead” just outside of town. Could this be the cause of the alien mist? To make matters worse, factions begin to emerge in the supermarket. The “Flat Earth Society” faced with overwhelming evidence that monsters do exist, bury their head in the sand. Many take their own lives. While others fall under the spell of Mrs. Carmody, they believe the mist to be a sign of the end of days. Salvation will come, but only after an offering of blood. David Drayton wants none of it. He conspires to escape the supermarket and the mist which surrounds them. Yet, to do so, he must come face to face with the horrors of this world and beyond. The Mist was first published in a collection of supernatural horror edited by Kirby McCauley, entitled Dark Forces, in 1980. It was later released in the Stephen King anthology Skeleton Crew in 1986 and then as a standalone novella in 2007. In addition to print versions of the story, it has been adapted as a film and inspired many other media projects. Most notably, the video game Half Life was initially named Quiver after Project Arrowhead. Its plot of scientists tearing a hole into an alternative dimension was derived almost exclusively off The Mist. The game even goes so far as to include the pterodactyl like monsters which terrorize the grocery store. Moreover, many of Stephen Kings other works reference The Mist. These include The Dark Tower series. The creatures that inhabit the “todash” space appear to resemble those depicted in the earlier novella. It is has been suggested that Project Arrowhead opened a door into this alternative dimension. 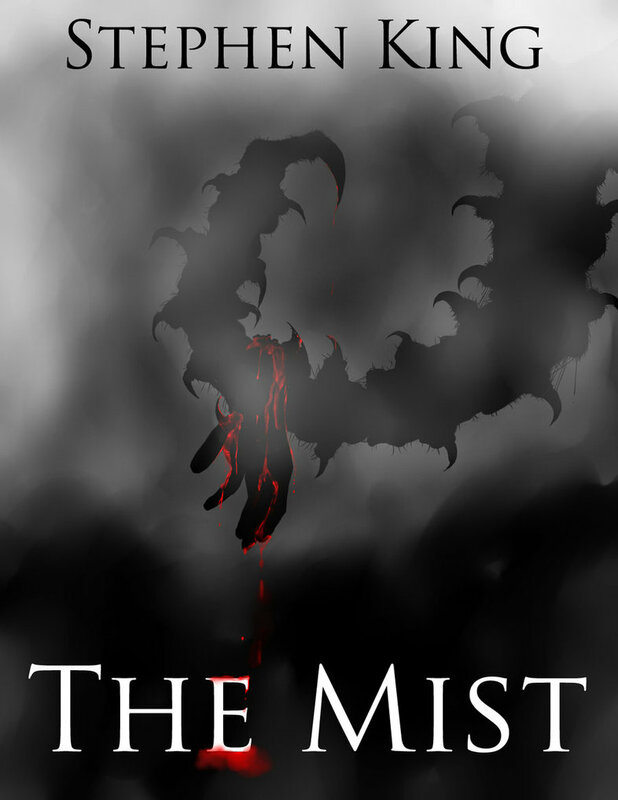 The Mist is a must read for fans of cosmic horror. It is, perhaps, the most underrated story written by Stephen King. In writing an ode to H. P. Lovecraft, he surpasses him. This is the reason The Mist is often cited as an inspiration by other authors, video game developers, and other practitioners of media. It is one of the greatest horror stories ever. It’s also hands down, the best adaption of a King story on screen. That ending stays with you. It is a good film. I am not sure it is my favorite Stephen king movie, but it is faithful to the story. In general, I am not sure cosmic horror translates well to movies. It certainly has not translated into box office gold. The few mainstream cosmic horror releases have failed to make much money when compared to other horror film subgenres. The love I have for Half Life is that they took the concept of the mist and translated into a action/scifi/horror video game extraordinarily well. It also didn’t hurt that they chose to set it in New Mexico instead of Maine which makes a lot more sense. Also I a New Mexico resident. I actually think a Half Life film would be more successful than The Mist itself. Gordon Freeman taught us that the best way to deal with interdimensional monstrosities is with a crowbar! That is something everyone can relate to. lol.